At this month's surgery Lynne and Sylke were in conversation with Dominic Hiscock, one of our local ward councillors. 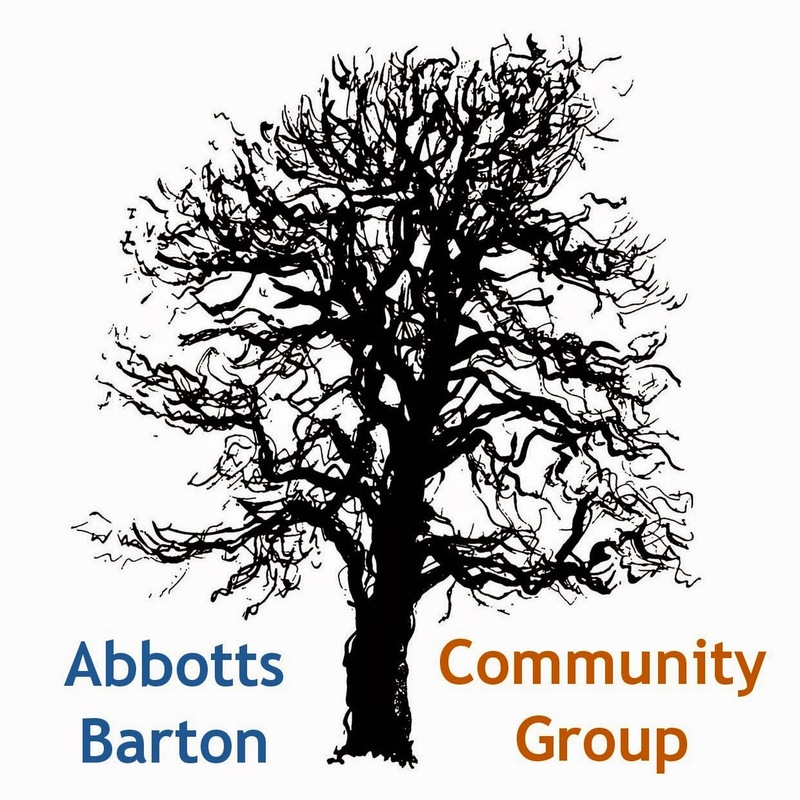 As for the ongoing problems caused by commuter parking on the west side of Abbotts Barton, we have been told that the agreed restrictions will be implemented by 1 April. We thanked Dominic for the help provided by our ward councillors to get the new notice boards for Abbotts Barton. 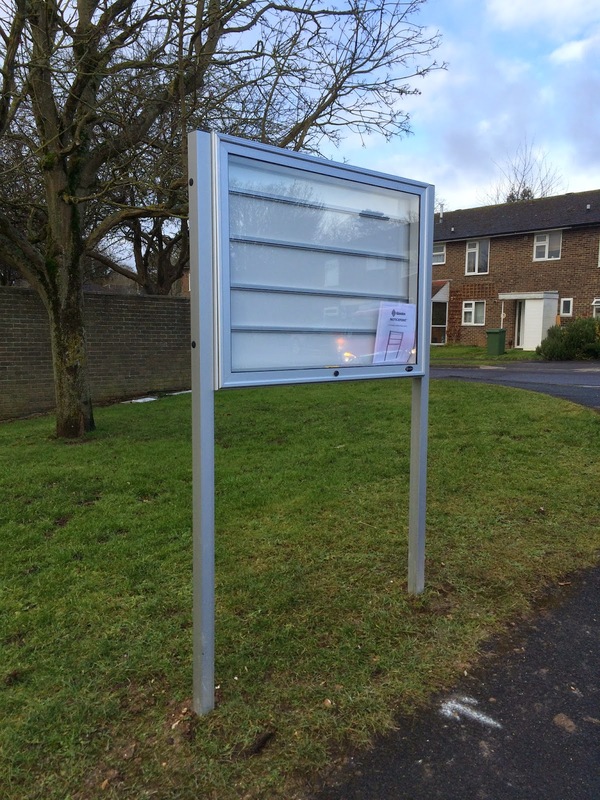 The one on Hillier Way was installed in February and on our way to the surgery we also discovered that the second one has gone up on Worthy Road at the bus stop near Arthur Road. We asked about the progress made regarding the Abbotts Walk green area and the 'pond'. For now the area is still under management of Redrow and some stone turning/picking/burying and thistle clearing will have to take place before it can be released from their responsibility. 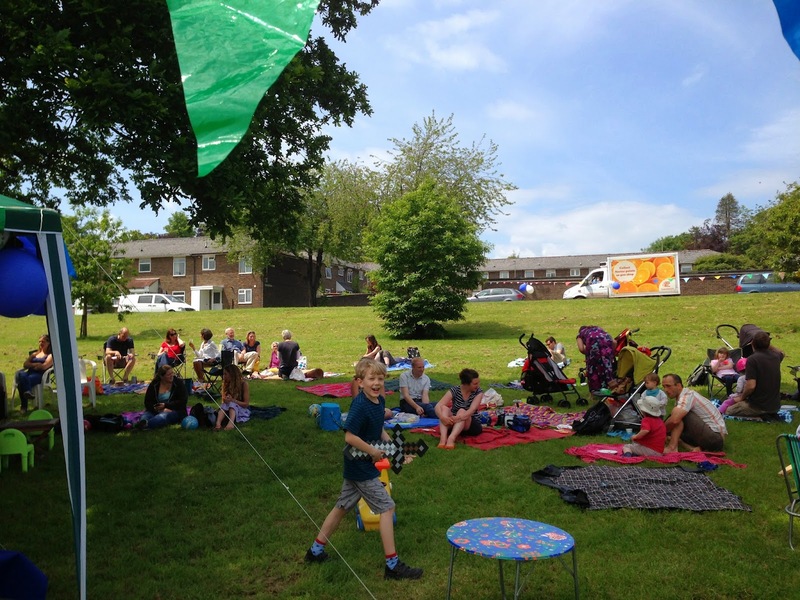 There will be a discussion with residents about how and by whom it will be managed and also about the play equipment that is still to be installed there. The infiltration basin is supposed to be getting some new plants that are 'water absorbing' to make sure that it dries out faster in future, and instead of being a full blown pond we have been told it should become marshy which would make it much safer for children. This is somewhat different from the original assurances the community were given by the developers that “The infiltration swale/basin feature has been sized so as to provide storage for the excess flow over the 1 in 30 year event, up to and including the 1 in 100 year plus climate change event. This feature which is intended to remain dry, but in the extremists of events (1 in 100 year plus 30% allowance for climate change), will store an additional 225m3 without overflowing.” If you have concerns about the close proximity of a pond next to a children’s play area you can write to our local councillors at dhiscock@winchester.gov.uk and jmaynard@winchester.gov.uk. We also discussed the fence which Winchester Wildlife Trust are proposing to erect at the bottom of the Abbotts Walk field. It is worth clarifying that this was requested by the Wildlife Trust and not the residents of Abbotts Walk, as there seems to be some confusion over this point. During the Council consultation event in 2012 many people in Abbotts Barton requested access to the river at the north of the estate but this was turned down by the Wildlife Trust to ensure that the local wildlife remains as undisturbed as possible under the circumstances. The Station Approach development project was mentioned and apparently last week there were still a few open spaces on the special consultation events held by the Council. If you would like to have a say in one of those workshops, apply now (email stationapproach@winchester.gov.uk or call 01962 848488). Of course there is also the online survey. We agreed that the developments will have an effect not only on the residents who live nearby the station but most likely on a wider area if not all of Winchester. We would be grateful if you could forward this email to any local residents who might be interested in the content. They can sign up for these monthly emails at www.abbottsbarton.org.uk or by emailing info@abbottsbarton.org.uk. The next Councillor's Surgery will be on Thursday 2 April 2015! just to clarify, the Hampshire and Isle of Wildlife Trust are not erecting a fence on the eastern side of the Abbotts Walk mead. The City Council is responsible for ensuring the developer has carried out all parts of their work set out in the planning process. There is no access from or to the green space to the footpath. There should be a robust, planted boundary along the eastern edge and this already includes a fence. This will minimise recreational disturbance to the sensitive wildlife at Winnall Moors Site of Special Scientific Interest and the River Itchen Special Area of Conservation. These are both protected areas and are protected under law. It would be wonderful to lead some guided walks along the footpath from Abbotts Barton to showcase the wildlife that can be seen and we need to protect to ensure their survival. For instance, skylarks, lapwing and snipe. These ground nesting birds are very vulnerable to disturbance and in just the last week we have seen people trespassing away from the footpath so it is importance to minimise the risk of this happening more often.